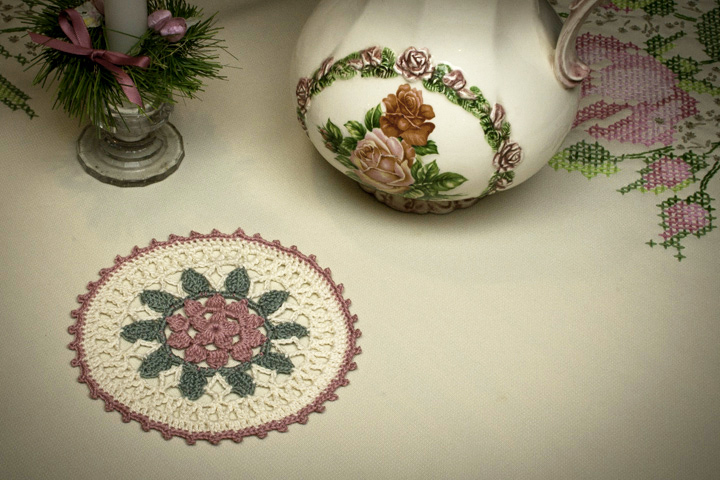 Our flower coaster is quick to make, but provides a little challenge for serious threadies! 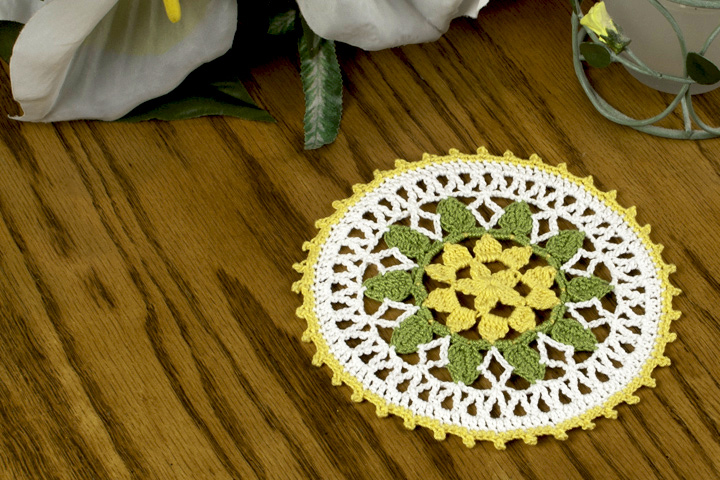 With just 3 colors of size 10 crochet thread, you can customize this coaster to coordinate with any décor! The pattern includes instructions for the clusters, decreases and picots used.